We spend a lot of time in our car and it has become an important part of our life. We eat in our car sometimes spill food and liquids in car. 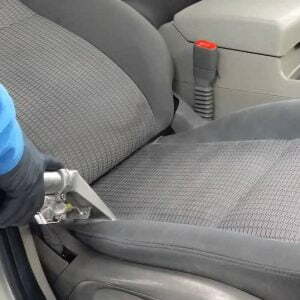 We do we clean our car form outside and inside but how often do we clean the upholstery? Our hours of daily use leave the upholstery dirty, stinking and full of illness causing elements. Apart from this, it also ruins the looks of our car from inside. Pure N Bright understands the needs of keeping the upholstery clean that is why we are providing the best car upholstery cleaning service in Melbourne. We are taking charge of cleaning your car upholstery and giving it a shiny and new look. While cleaning, our cleaners eliminate germs, bacteria, pollutants, allergens, dust, fungi and all other kinds of filth. Our cleaning not just remove stubborn stains, spots, oil marks, grease marks and dirt, but also get rid of the pet odour, cigarette odour, sweat odour, muddy odour and all other bad smells. By using the latest technology of machinery and giving proper training to our cleaners, we ensure you complete satisfaction. In our car upholstery cleaning service, we use steam cleaning machines that do the job without causing any kind of harm to your upholstery. Our cleaning procedure goes through pre vacuuming, steam cleaning, deodorising, and drying all fabrics. We do this for your car seats, carpet, dashboard and trims. 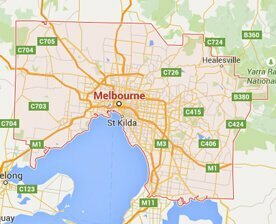 Pure N Bright is the best value for money cleaning service provider in Melbourne. We are very well skilled, equipped, trained and committed to ensure 100% satisfaction from our services. All kinds of cleaning services are provided from our end. Our prices are very low as well as affordable and will suit your budget. Send a query to get a free quote or ring us on 1300 360 274.